…is of little use to you? Do you long for the days of your youth when computers were new, and exciting (and perhaps useful only to those with the “know how”?) Or maybe the early days of computers were before you were even born, and you simply want to know what the big deal was? Or maybe you’re like me, a mere child when you first heard the notion that people could actually have a computer in their very own home! Those were exciting times. Computer technology moved fast and chaotically. The standard of the day may not have been recognized a few months later. Some ideas persisted (and persist today): the hard drive, serial ports, video monitors. Some ideas were cast aside: the stringy floppy, paper tape, and the IBM PCjr. But one thing is for sure, we were literally inventing the future. 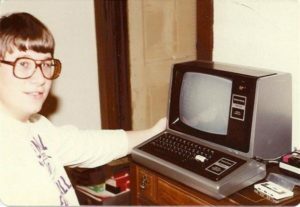 That’s me with my TRS-80 in 1981. My goal is to keep the excitement alive. As a kid, I loved building electronic kits. I loved reading about computers. My two loves finally came together in 1982 when I built a Sinclair ZX81 – yes it was a relatively simple kit, but it impressed the heck out of everyone when I showed them the computer that I built! In part, that was the impetus for this project. I wanted to share that excitement with my kids. I wanted them to read the same books I read (eg. “Getting Started in Electronics” by Forrest Mims III), smell rosin wafting through the air, and delight when you power up your creation for the first time. So take a look at my re-creations of classic computers available in kit form. 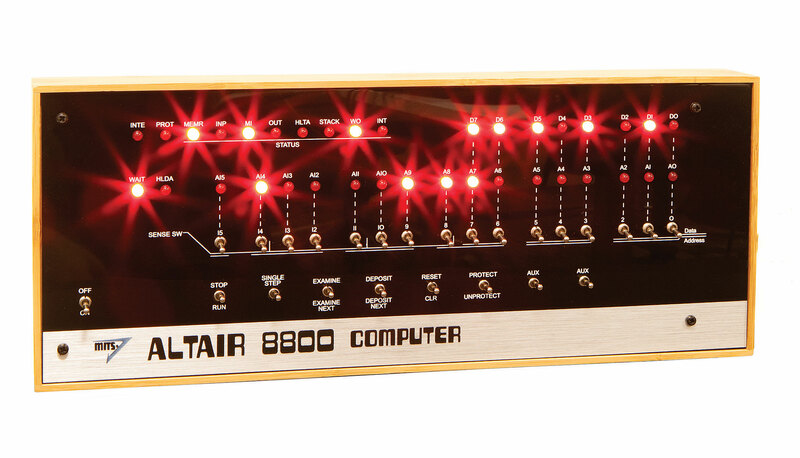 Fire up the soldering iron and block off a weekend afternoon or two, and impress your friends! 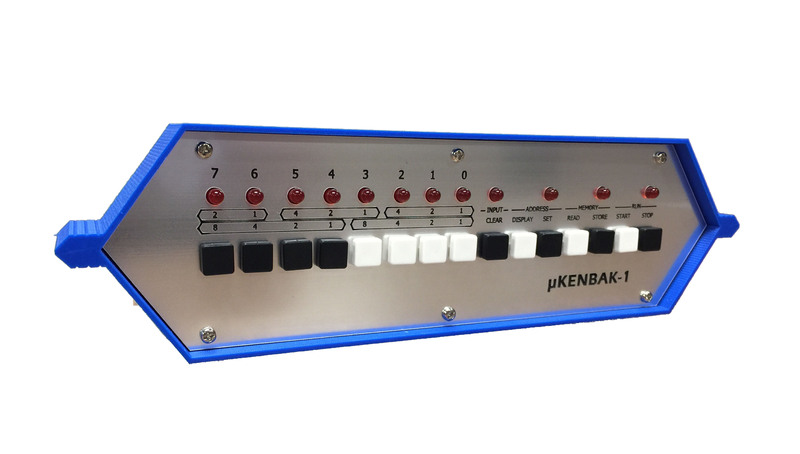 A cycle-accurate reproduction of the the kit that sparked the home computer revolution! Little-known, but still the first! Only 40 of these 1971 programmable computers were sold. Issac Newton once said “If I have seen a little further it is by standing on the shoulders of giants.” Please know that what I’ve done here is no monumental step, but rather I borrowed the hard work of Mark Wilson and David Hansel, who borrowed and continued the work of Mike Douglas, who borrowed and continued the work of John Blankenbaker, Ed Roberts, Forrest M. Mims III, Bill Yates, Paul Allan, Bill Gates and others. It is not my intention to infringe on anyone’s copyright (which I’m sure some portions of these projects may) but rather to further understanding and knowledge, and to keep alive the birth of the computer revolution. Guys, I thank you and love you all! 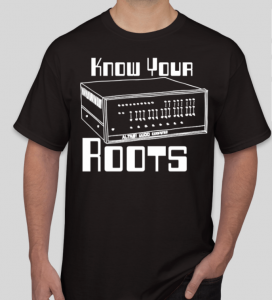 “Know Your Roots” T-shirts. Make sure you tell those young millennials exactly where their precious technology comes from – It comes from us, the folks that invented home computers!